Build your competence and confidence for teaching firearms. Learn more and register at DEFENSE-TRAINING.COM. An introduction to safe gun handling, how handguns operate and function, how an individual operates a handgun, and how an individual may use a handgun for their self protection. Students will need to bring a suitable defensive pistol or revolver, holster, and 100 rounds of handgun ammunition. Most revolvers and autoloading pistols of reputable manufacture are acceptable. All our work will be from concealment. 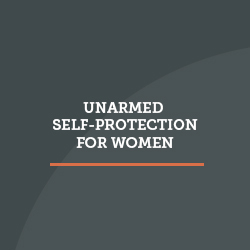 Designed specifically for women who want to obtain the necessary knowledge and skills to successfully handle nearly any personal protection situation. Our female students are often most comfortable in a class limited to women students, and taught by a woman. 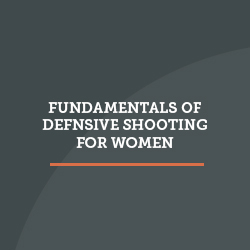 This specialized Defensive Handgun Course is designed specifically for women who want to obtain the necessary knowledge and skills to safely keep, carry, and handle guns, and effectively manage any personal protection situation. Our goal is to provide competent information, instruction, and drills that allow students to perform to the best of their ability. Students will need to bring a suitable defensive pistol or revolver, holster, and 150 rounds of handgun ammunition. Most revolvers and auto-loading pistols of reputable manufacture are acceptable. All our work will be from concealment. A class designed for those who want to know more about self-protection, but for whatever variety of reasons, cannot carry or chose not to carry, a concealed handgun. This class will help the firearms instructor understand the challenges for the female officer in both the classroom and on the range. Join our ever-growing community of women on Facebook. Read about others’ experiences, or share your own.